This post is dedicated to my good friend Amy. These scones are my attempt to recreate a wonderful raspberry chocolate spelt scone we used to buy every Saturday at the farmers market. The scones, along with strong cups of Katz coffee, was our Saturday morning breakfast. 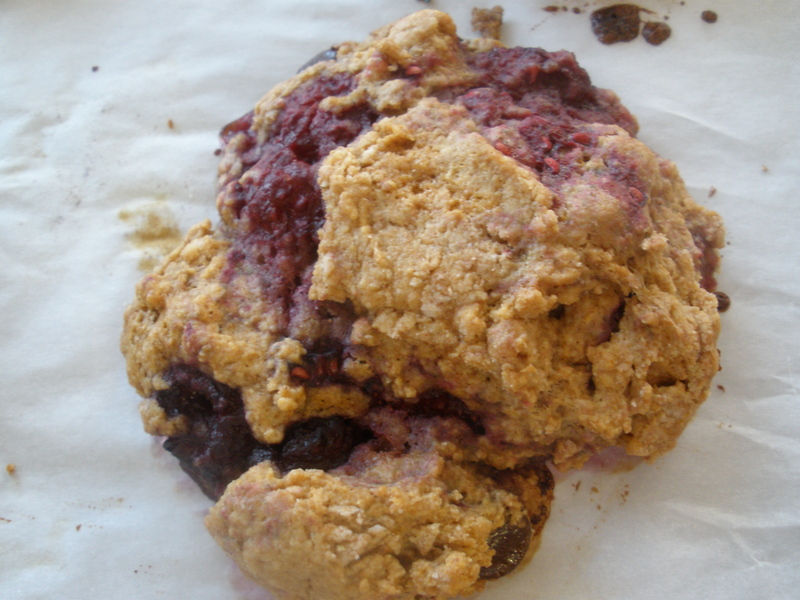 After Amy moved away about three years ago, the bakery that made these great scones stopped coming to the market. I’ve been thinking about those scones a lot lately, as I’ve been waxing nostalgic. While the scones I made are not a precise replica, I have to say they come pretty darn close. Breakfast this week of strong coffee paired with these scones will be good for my soul. Preheat oven to 350 degrees. Line a baking sheet with parchment paper. Mix the dry ingredients together in a large bowl. In a separate bowl, mix the oil, barley malt syrup, and vanilla together. Add to the spelt flour mixture. The mixture will be dry. Add the water, and mix completely. 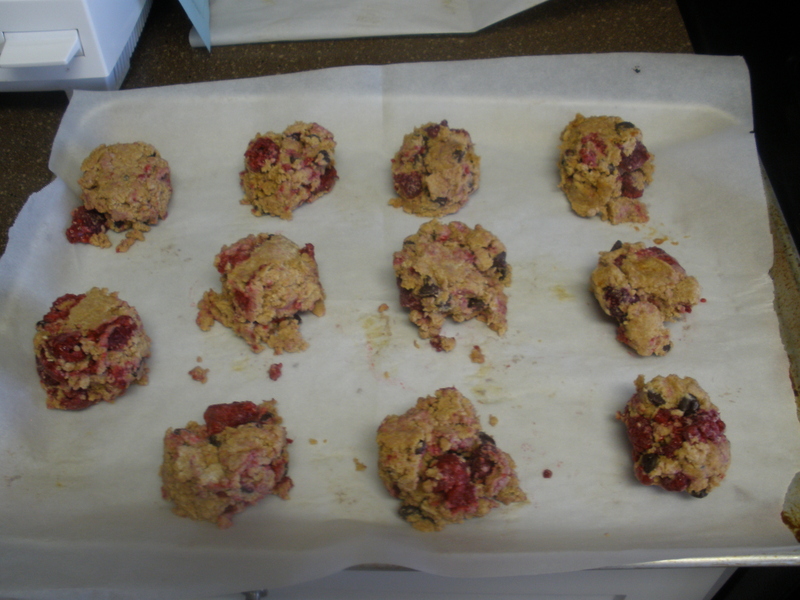 Fold in the raspberries and chocolate chips, being careful not to overmix. 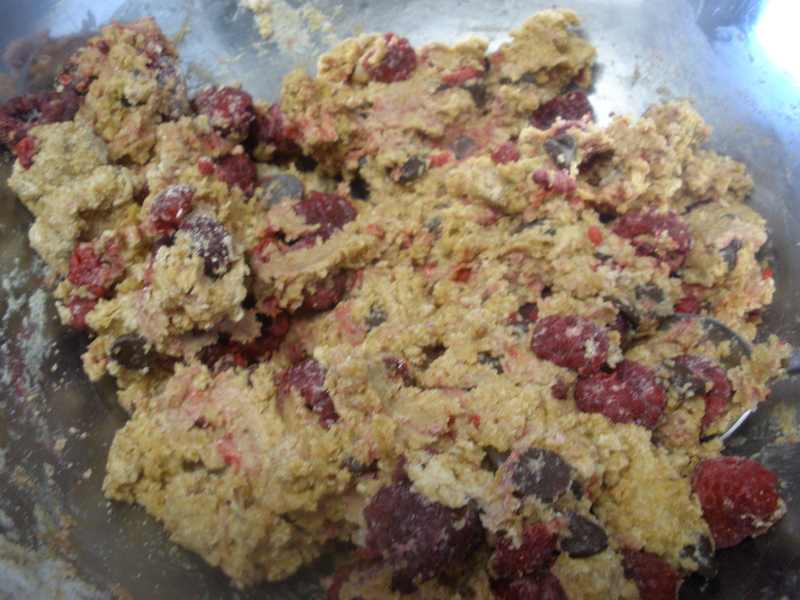 Mix only until the raspberries and chocolate chips are evenly distributed throughout the batter. 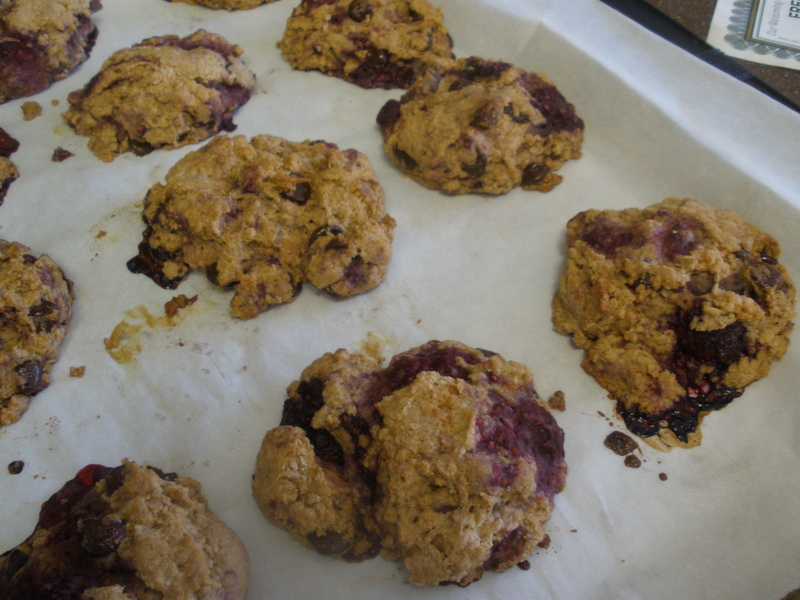 Spoon out the batter onto the parchment paper-lined cookie sheet using about 1/3 cup of batter per scone. Place about 1-1 1/2 inches apart. All the scones should fit on one sheet. Bake for about 20 minutes, or until the edges are golden brown. Allow to cool about 15 minutes before serving.